I realised after I’d bought the tickets that asking for one adult to the Russian Revolution has a certain comic quality. Anyway, the latest exhibition at the British Library is well put together. 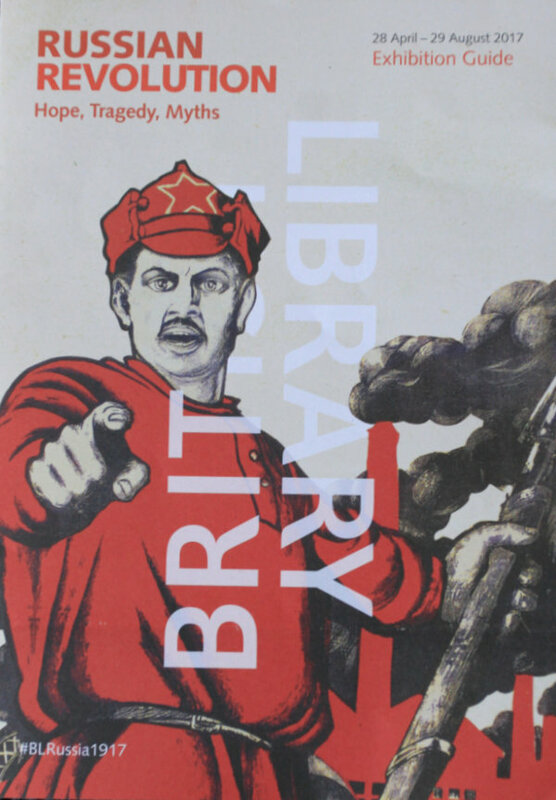 As you’d expect from the British Library the focus is on books, documents and maps along with a few carefully selected artefacts such as flags, a Japanese rifle and a Red Army soldier’s hat. There is some multimedia, I’d say less than some of the British Library’s recent exhibitions I’ve been too but what there is serves a purpose. The large exhibition space was effectively divided up in to small areas. Like the Pink Floyd exhibition at the V&A the exhibition is organised chronologically starting in the early 20th century and progressing to the mid-1920s with the rise of communist Russia and at the end there is a film show. A little more reflection on the revolutions impact outside Russia would have been nice. A little more depth could have been given on the participation of British figures on events such as the assassination of Rasputin or Arthur Ransome working for MI6 while visiting Russia. If you’re interested in the period of history worth a visit.